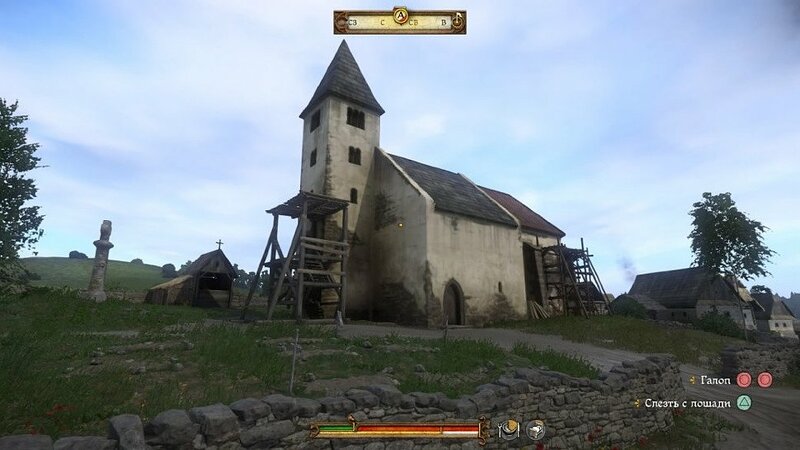 Kingdom Come: Deliverance is a ticket to 15th century Bohemia. Warhorse Studios meticulously worked through all the details and the result is fascinating: you can use this game as a historical guide. Deliverance might not help you get a PhD in history, but it will certainly help you understand the history of Czech Republic as there are not many books about it. To help you get through all the nooks and crannies of this complicated historical period we present you this guide. It might help you understand the context of Kingdom Come: Deliverance and truly appreciate its impressive depth. This article was written with some help from Warhorse’s designer Ondřej Bittner. He explained the connection between game plot and actual historical events, and also shared a few facts about the creation of virtual Bohemia. He said that studio chose this setting because “It’s personal for us”. This quote must’ve been the slogan for the team during the whole production process. To understand why Deliverance is personal for Warhorse we have to dig deeper into the history of Czech Republic. Bohemia is a historical part of modern day Czech Republic. In second half of 6th century CE Czech tribes came to this area, by the end of 9th century there was a principality, and by year 1212 Bohemia was declared a kingdom (even though kings had been there even before the official declaration). Since 10th century and up to 1806 this territory had been a part of the Holy Roman Empire. 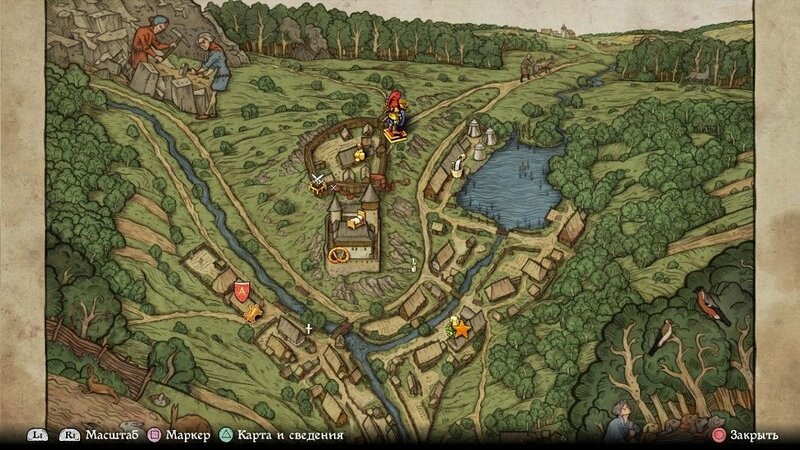 Check out this map. The small “island” to the right, including Ostrava, is the Czech part of Silesia. 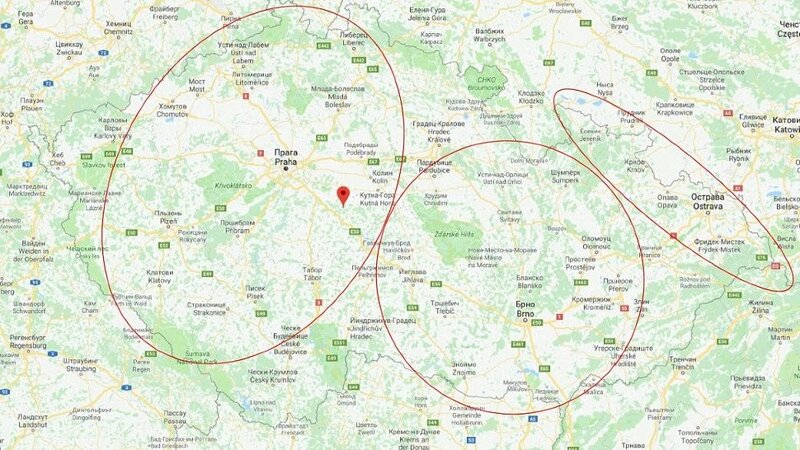 The big area in the middle that includes Brno is Moravia. The biggest area — the one with the Prague — is the one and only Bohemia. That’s right – modern Czech Republic is comprised of three historical regions, and there was a lot going on there during the history. 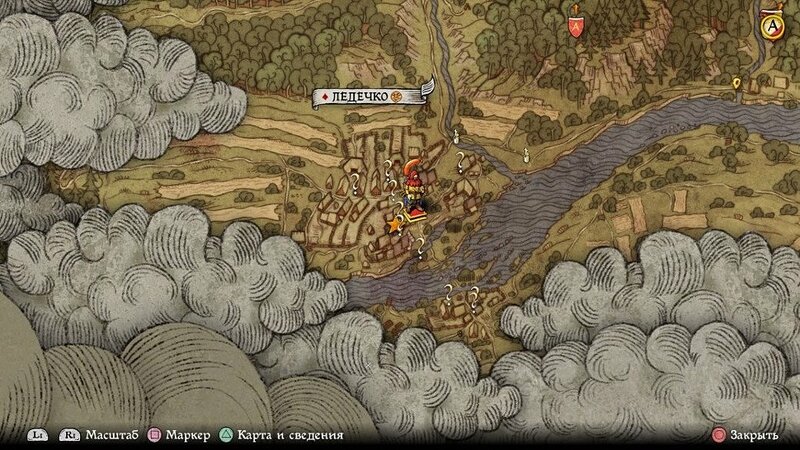 However, the most important territory for Czechs during the Middle Ages was Prague and all its surrounding areas. The Czechs themselves used to call it České království (Czech Kingdom). The name Bohemia — or Königreich Böhmen — was given to this place by the Germans. 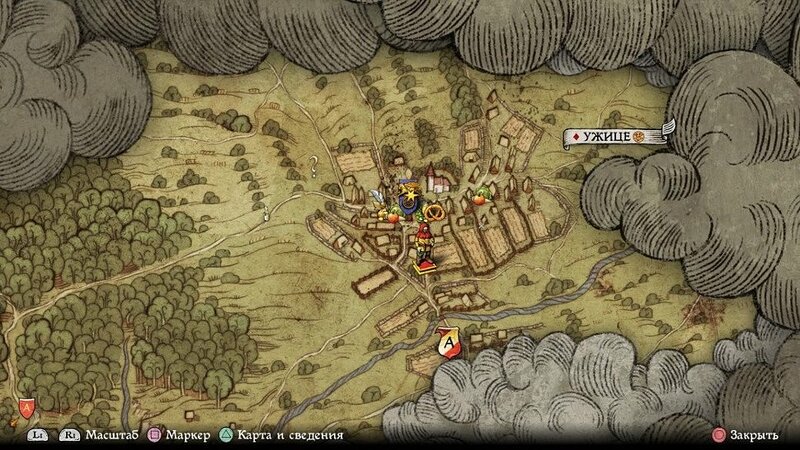 By the way, the events of Kingdom Come: Deliverance are taking place at the southwest of Kutná Hora – notice the red pointer on the map. Before the 14th century nobody could have thought that Bohemia might become a center of Europe – in a political sense. Nobody really minded the Bohemia before the 1298. By the end of 13th century during the rule of Wenceslaus II the country really bloomed – thanks to the huge deposits of silver found under Kutná Hora. Wenceslaus II immediately ordered to mine the deposits. Quite soon it became obvious that it was the biggest silver deposit in Europe – they were extracting about 20 tons of metal each year. But even after such miraculous events Bohemia didn’t gain a strong influence in Holy Roman Empire. It all changed when the legendary Charles IV became the King of Bohemia. His father, John the Blind, had been acting like all the kings before him: he neglected the needs of his country, somehow let the Germans in and almost let the Czech language loss happen. John did one thing right though – he let his son Charles become his co-regent. 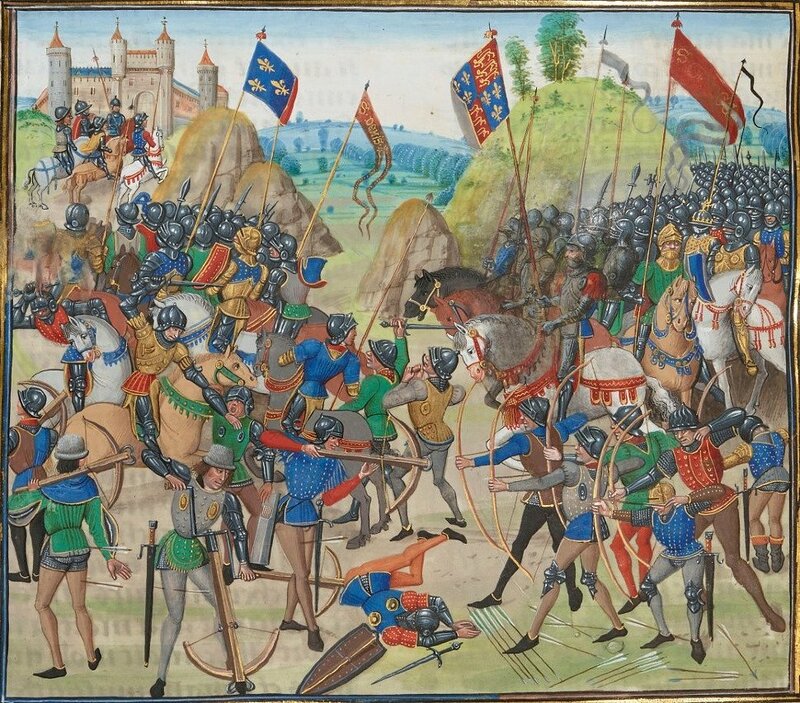 By the way, John the Blind was blind indeed: in 1346 during the Battle of Crécy he ordered to tie him to his saddle, and then rushed onto the battlefield to destroy the Englishmen. Needless to say, he was slayed in the battle. John’s son, Charles, also was there on the battlefield during the Battle of Crécy. He was wounded, but, unlike his father, survived the battle. After the tragic death of John Charles was crowned as the King. His reign marked the country’s golden age and, a few centuries later, became the part of Kingdom Come: Deliverance lore. There is a good reason for that: during the reign of Charles his sons almost took the Bohemia apart. Charles loved his county with all his heart. He had spent his early years in Paris where he had been taught accordingly to French cultural norms. When Charles returned to Bohemia and couldn’t say a single word in Czech he understood that he’s still got a lot to learn. He learned Czech as well as Latin, German, and Italian languages. And, of course, French. He mastered the intricate inner workings of politics and, more importantly, learned be a good judge of character. He handled the conflicts well – by words or with money – and always was in good standing with the people. Charles clearly understood that Europe won’t take Bohemian King seriously, so he decided that he should become Holy Roman Emperor. But before reaching his ambitious goal he had to be crowned in Germany where House of Wittelsbach stood in his way. Charles jumped over this hurdle by marrying Anna, the daughter of Rudolf II of Wittelsbachs. As the king of Germany, Charles pandered to local dukes and quietly moved the Pope out of the election process. Pope certainly wasn’t happy about it. Then Charles found the way to please the Pope too – he granted him the tithe and released the bull that protected the church’s privileges. In other words, Charles allowed the priests to collect even more money from people with no consequences. In 1355 Charles was crowned as Emperor of Rome thus becoming one of the most powerful people in the whole Holy Roman Empire. This title also allowed him to reform Czech Kingdom and make it the center of Europe – again, in a political sense. As King of Bohemia Charles could never do that, but now he was the Emperor – all the doors were open to him. First and foremost Charles approved a few treaties, hereby restricting the German influence on his country. Then he made Moravia and a part of Silesia dependent on Czech Kingdom. He also founded the University of Prague and made sure it has the same rights as University of Bologna in Italy and University of Paris in France. Then he found some teachers for the university, and went onto building the New Town (Nové Město) and Charles Bridge in Prague. Such a productive guy! All in all, he really worked hard to make Bohemia prosperous. The only thing he failed at is raising a worthy heir. Charles IV had 13 children, but most of them died as infants, plus many of them were girls. The only sons remaining after Charles death were: Wenceslaus (from the third marriage),Sigismund and John (both from fourth marriage). The events of Kingdom Come: Deliverance are taking place in 1403. This was the year when Hungarian King Sigismund invaded and devastated Kutná Hora, and then stayed in Czech Kingdom with his army for months. Wenceslaus’ brother had his own plans for the Kingdom, but a lot of things happened before Sigismund took over. 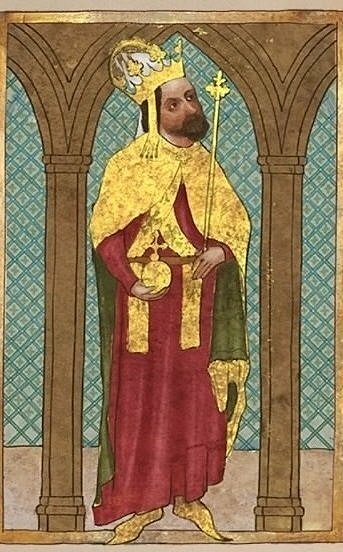 After Charles IV had died, his older son Wenceslaus IV inherited the throne. This guy also went down In history, but in a whole another way. Wenceslaus managed to nullify almost all of his father’s achievements, damaged his relations with all the nobility and clergy, was captured by nobility and then by Sigismund, and on top of that he foolishly let the German crown slip away. But he did have his merits. Yeah, he might have been pretty spineless and quiet, yet managed to threw tantrums when things got out of hand, and he even killed some people. However, Czechs still liked him and they had fair reasons to do so. First of all, Wenceslaus managed to keep public treasury full. Even though he indulged his gluttony at various feasts, visited the bathhouses and was always ready to binge, the treasury was full - Bohemia was wealthy enough at the time. Obviously, he had Kutná Hora and lots of silver deposits under it, but still – he could blow all the money, but he didn’t. Secondly, during the first years of his reign Wenceslaus followed his father’s rational domestic policy. He kept building up Prague, supported the building of the infamous St. Vitus Cathedral, founded the college for capital citizens to study in, and advocated for the development and protection of Czech literature and language. Thirdly, Wenceslaus constantly was getting into arguments with clergy – he was infuriated by their attempts to cash in on ordinary citizens. 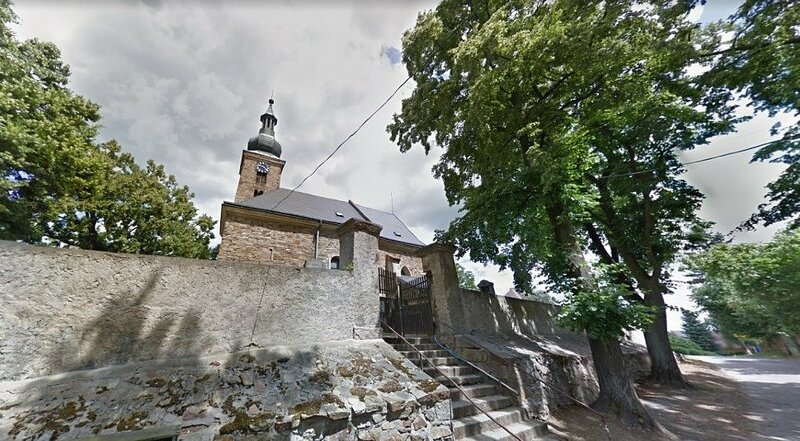 The things is – if church doesn’t collect more money from people, then other authorities do it – but Czechs didn’t mind it, they were just happy that their ruler was going against the blatantly shameless church. He had some issues with nobility too. Wenceslaus constantly tried to appoint ordinary people to important positions, and noble families were having none of it. So, technically, Wenceslaus had his people’s support, but his relations with the nobility went down the drain. 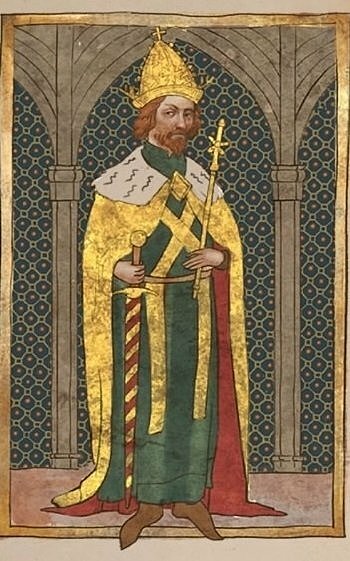 Besides, Wenceslaus completely forgot that he also was, in fact, the King of Germany. He left Bohemia on several occasions to fix a couple of issues in Germany, and even wanted to pay a visit to Italy to be crowned as Emperor, but he had, you know, no free time at all – with all the building business and bathhouses and whatnot. Wenceslaus neglected Germany for too long, and Ruprecht von der Pfalz (the one from House of Wittelsbach) began working against him. At the same time in Bohemia feudal lords were openly expressing their disapproval of their current King. Czech nobility were the first ones that tried to deal with their ruler: in 1394 with some help from Jobst of Moravia they captured Wenceslaus. 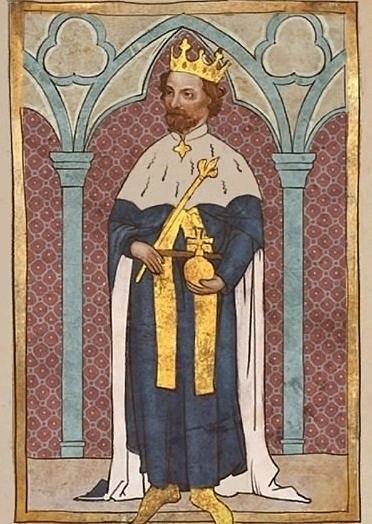 While he was being held prisoner in a castle, Jobst took control over Bohemia, but later on John, younger son of Charles IV, decided to help his brother. Some time after Wenceslaus got back to being king and kinda made peace with Jobst, but at that moment – oh, what a terrible timing - Ruprecht von der Pfalz showed up again. He claimed that Wenceslaus is a terrible king and he should hand the crown over to, well, Ruprecht himself. Wenceslaus did exactly that in 1400. Then here comes in Czech nobility that was furious about external policy problems .This time they were ready to overthrow their King. John died shortly after rescuing his brother from prison, so Wenceslaus was left alone. That’s when he decided to ask out his brother Sigismund for help – but, alas, Sigismund was held captive in Hungary by his feudal lords. One way or another Wenceslaus managed to get Sigismund out of prison and made him his co-regent. Wenceslaus hoped that his brother will help him get rid of the pesky rebelling nobility and accompany him to Italy, where he could be crowned as Emperor. Sigismund turned out to be one hell of a trickster. In 1402 he betrayed Wenceslaus, took him captive and went off to Italy. As some riots began to happen in Bohemia, Sigismund left his brother in Vienna and went back to his kingdom. In 1403 Sigismund managed to put Kutná Hora back in it’s place and stop the riots. A few months after he began raiding the villages that refused to obey to their new king. 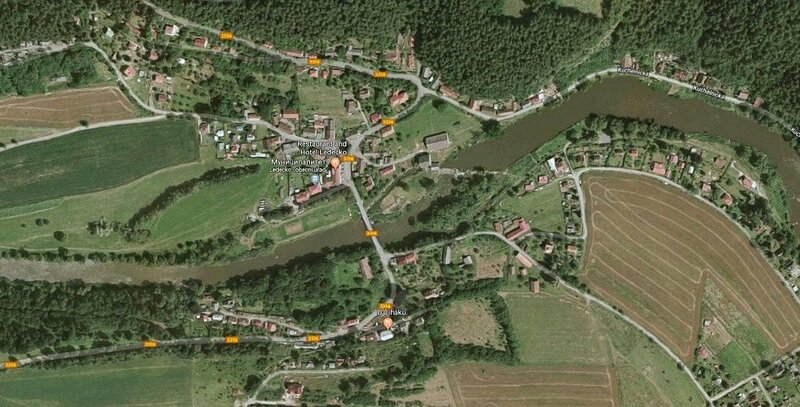 One of such unlucky villages was Stříbrná Skalice (Silver Skalica), the home village of Henry, Deliverance’s main character. Sigismund got the Branderburg right after the death of his father. Years before that he had been proposed as a husband to a daughter of Louis I of Hungary. Even when Wenceslaus become King of Bohemia, he kept proposing his brother to her, so Sigismund had to marry Mary, the second daughter of Louis. This marriage stood him in a good stead – Sigismund became the legit ruler of Kingdom of Croatia. Well, he also could get his hands on Polish crown, but Polish nobles pulled some strings and made Jadwiga, the youngest daughter of Louis, the Queen of Poland. Bad luck followed Sigismund even in Hungary – he almost lost the crown of Hungary by having a fight with Elizabeth, Mary’s mother. Fortunately, Wenceslaus ruled it all out. So, Sigismund married Mary in 1385, but he was crowned two years later, after his mother-in-law died. All that family business led Sigismund into so much debt that he had to hand Brandenburg over to Jobst of Moravia. Next 9 years hadn’t brought him much relief – Sigismund had to fight for his crown as nobility of Hungary and Croatia protested against him. Sigismund began dealing with this problem in 1395 – he defeated Croatian arm, which inspired him to go on and fight with Turks. Sigismund got support from Pope Boniface IX and even embarked on a crusade which mostly consisted of French, but also of German, English and Bohemian troops. Sigismund’s army wasn’t totally loyal to him, so that might be a reason they’ve lost the fight with Turks during Crusade of Nicopolis in 1396. That failure convinced Sigismund to take a temporary break from fighting with Hungarians, Croatians and Turks. Instead of fighting he began plotting some mischief Wenceslaus. He was intending to take over the Czech and German Kingdoms, and then to be crowned as Holy Roman Emperor. Surprisingly, all Sigismund’s dreams came true: in 1410 he finally was crowned as King of Germany, in 1419 he took the Bohemian throne after his brother died, and he even got to be the Holy Roman Emperor from 1433 to 1437. 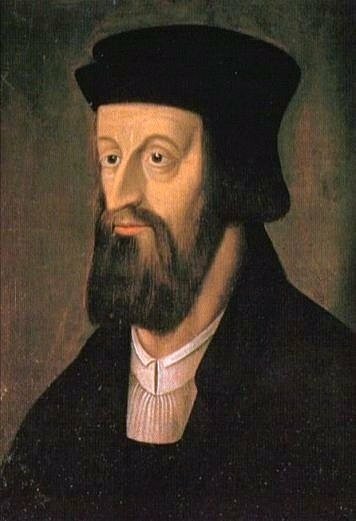 Jan Hus was a Czech philosopher, preacher, and even temporary rector of Charles University in Prague. He had a huge influence on Bohemian history. In fact, if Deliverance’s setting took place a few years later, then the game definitely would be about Hus and his followers, Hussites. He stirred up the Czech Kingdom with his lectures and sermons. His whole life was an example of threat that rational thinkers posed on society in Middle Ages. The thing is, he criticized church for its corruption and its pursuit of wealth, but he did not oppose religion in and of itself. His speeches were easy for ordinary citizens to understand, and the thoughts he expressed were far more sensible than loads of rubbish told by the priests. He said that Catholic Church should stop selling church positions and quit collecting money from people. In fact, Hus firmly believed that the true clergy is a poor clergy. Besides, he insisted that one should not trust the church blindly and should not pursuit ill-gotten wealth. He even was against indulgencies. Jan Hus got all these ideas from the works of English reformer John Wycliffe, who also thought that clergy should not have any personal property. 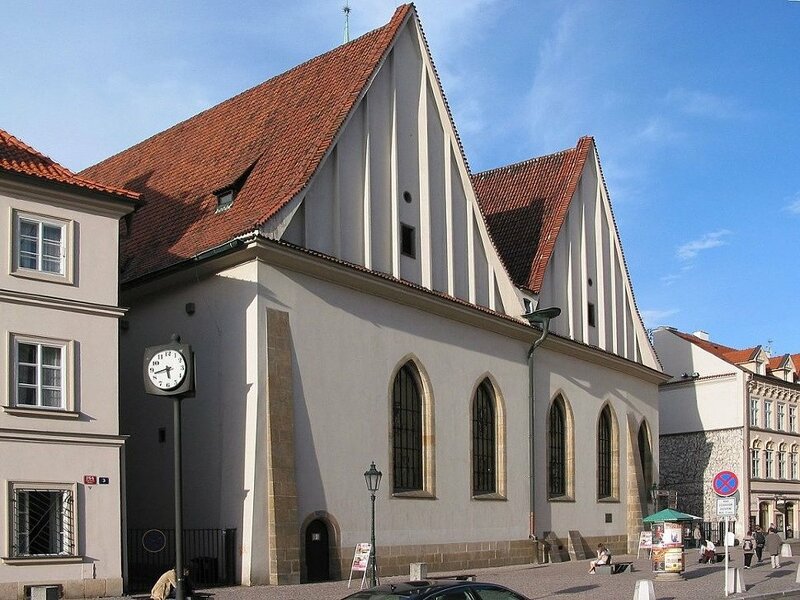 Hus preached his sermons in Bethlehem Chapel in Prague. Moreover, he preached in Czech language, which helped him gain respect from people of Bohemia. Hus became a chapel’s pastor in 1402 – just a year prior to the events of Deliverance. In the game you can meet some characters that voice their support of Hus’ opinions and he is mentioned all throughout the game – even Theresa mentions him on a walk with the main character. Unfortunately, you won’t be able to meet the infamous philosopher in person. Hus did yet another good thing for his country – he reformed Czech orthography to help people easily learn to write and read, and invented diacritics (those special signs above letters).However, he got in trouble for his unorthodox views on church – Pope couldn’t give a damn about his achievements. 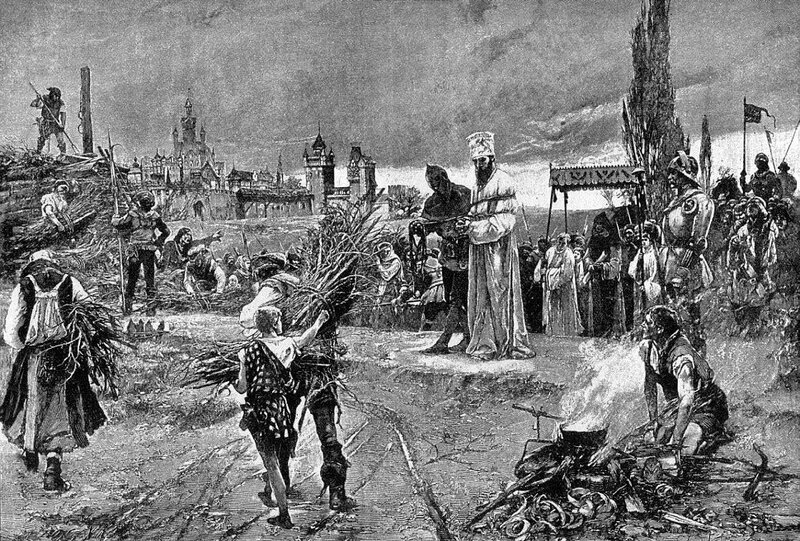 Preparations for the execution of Jan Hus. 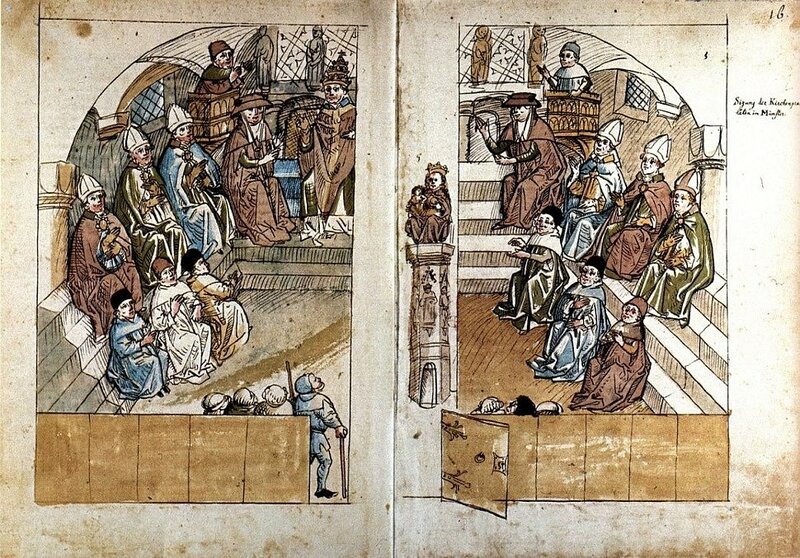 In 1414 Sigismund as King of Germany invited Hus to Council of Constance. During the Council many influential people tried to end the Papal Schism. By that time Hus was accused of heresy numerous times and was regularly threatened with death, so his concerns about the invitation were quite logical. Sigismund reassured him by promising him writ of protection. All in vain. Sigismund already betrayed his stepbrother, so he had no problem betraying Hus. It all ended with Antipope John XXIII and all the Council members accusing Hus of heresy and burning him at the stake. Interesting fact: Wenceslaus initially supported Jan Hus, because, you know, if money are not collected by the clergy, then they go straight to public treasury. But he got strictly informed that his unstable position as King of Bohemia could get worse, so he quit supporting Hus. Later on even Sigismund started to regret his decision to betray Hus: the philosopher’s execution led to protracted wars between Hussites and crusaders. This mess kept going on until 1434. The Catholic Church itself was going through a hard time during the end of 14th century. The main problem was Papal Schism – a tough time in European history when two or three people proclaimed themselves the Pope at the same time. It is quite obvious that there could be only one. Papal Schism is one of the most important and massive events that took place in Europe in that time. This catholic game of musical chairs affected most of the Europe, and Bohemia got involved too. It all started in 1377 when Pope Gregory XI left his French residence in Avignon and came back to Rome. The thing is – back in 1309 Clement V had become the Pope (thanks to Philip IV of France) and moved to Avignon. Every Pope been there till 1377 when Gregory XI decided to move back to Rome – there was major struggle for power, and Gregory XI was worrying about losing his position. The trouble is that Gregory XI died a year after his arrival at Rome. Then Italians demanded that cardinals should elect the Italian or Roman person as a new Pope. Cardinals settled for a compromise and chose Urban VI who was Neapolitan. That was quite wise giving the fact that Naples is located in Italy but it was ruled by a French dynasty at the time. Well, Pope Urban VI turned out to be different than expected – he started telling everyone that clergy is too wealthy these days. Cardinals immediately regretted their decisions, declared Urban mentally ill and found a new Pope. The newly elected Pope Clement VII moved to Avignon. And there comes the Schism — European leaders had to choose who they would recognize as the Pope. Some of them supported the Roman Pope, some supported the Avignon. By the way, Wenceslaus IV, as well as his father Charles, supported Rome. Sigismund seemed to show some support of Rome too, but he was the one who put the Papal Schism to an end. There was no doubt that this chaos has to be eliminated as in 1409 another Pope , Alexander V, came to the stage. During the Council of Pisa Roman and French Pope were both deposed, but neither of them was willing to step down. This is how there came to be three Popes in Europe, and they all have condemned each other. Kings all over the Europe were in panic, frantically trying to decide which Pope would be profitable to cooperate with. That why Sigismund held Council of Constance in 1414. During the Council all three Popes were deposed and Martin V was elected as a new Pope. That’s how the Schism ended, and, yes, that was the very Council where Sigismund betrayed Jan Hus. 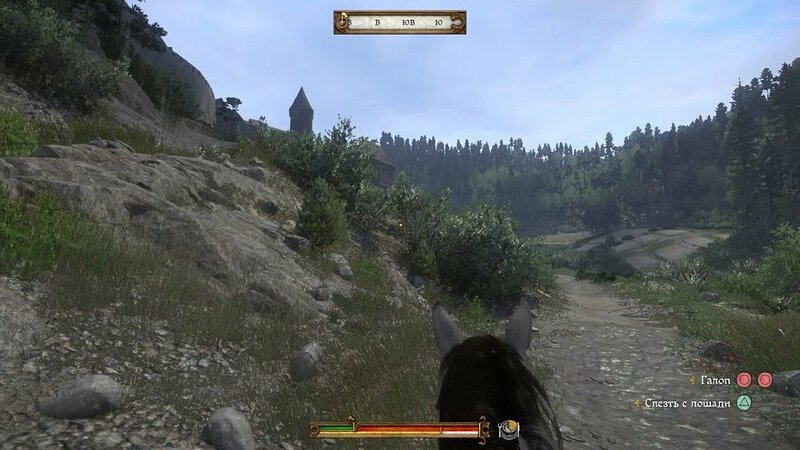 Ondřej Bittner explained that geography of virtual Bohemia in Kingdom Come: Deliverance was based on images from satellites, and it’s easy to believe that. The game takes place on south-east of Prague and south-west of Kutná Hora. Warhorse didn’t just made up a fictional world out of various Czech areas, it transferred the whole real area into the game – along with all the fields, forests, cities, villages and fortresses. Some historical locations are still there in the present day. Developers did a marvelous work on the game georgraphy. Kingdome Come is a ticket straight to medieval Bohemia, a time machine that can carry you to a historical location which you also can visit in real life. The developers even did a video about that. 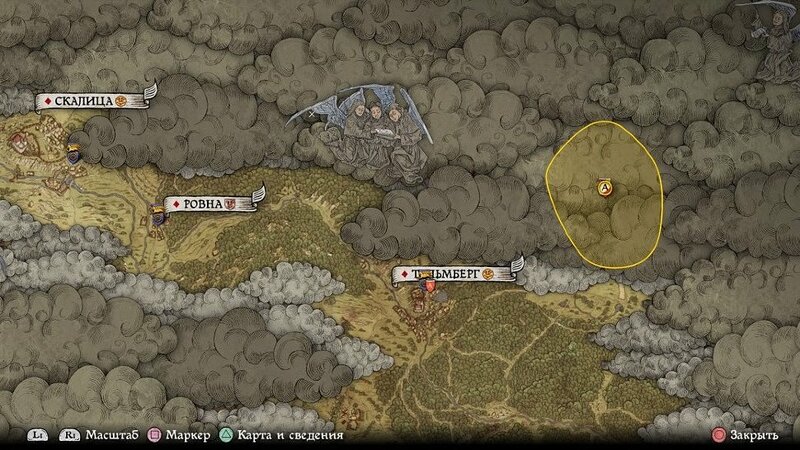 It’s obvious that the maps are not 100% accurate. Developers reduced the distances between the cities, but other than that Deliverance shows Bohemia exactly as it was at the beginning of 15th century. Take a look. Rataje nad Sázavou is the first big city that Henry visits. Over the years the small river flowing down along the south road to the city went really low, and the fortress walls are long bygone. Now Rataje is one of the most popular tourist attractions in Central Bohemian Region.. Even though walls and fortifications of Rataje have turned to dust, the Pirkštejn Castle tower is still standing. This castle is the one that Ridzig got after he ran away from Skalice. Rataje’s central square is still recognizable. North to Rataje we can find Ledečko. Same old one-story houses. 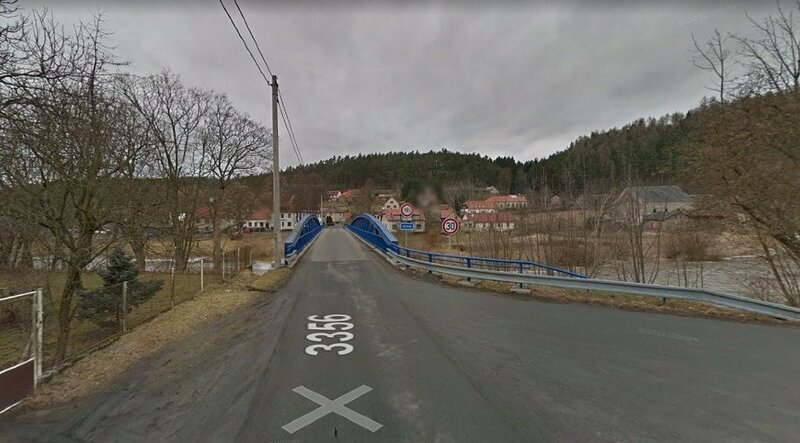 Well, at least they’ve managed to build a normal bridge after all these years. 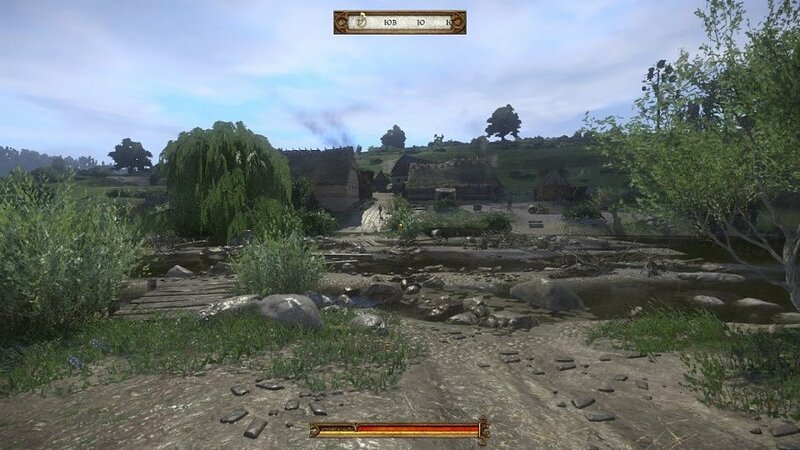 Talmberg has changed quite a lot. There are basic modern houses instead of fortress, and lake beside the city has dried up. To south-east of Talmberg proudly stands the city of Užice, that still looks almost the same after all these centuries. 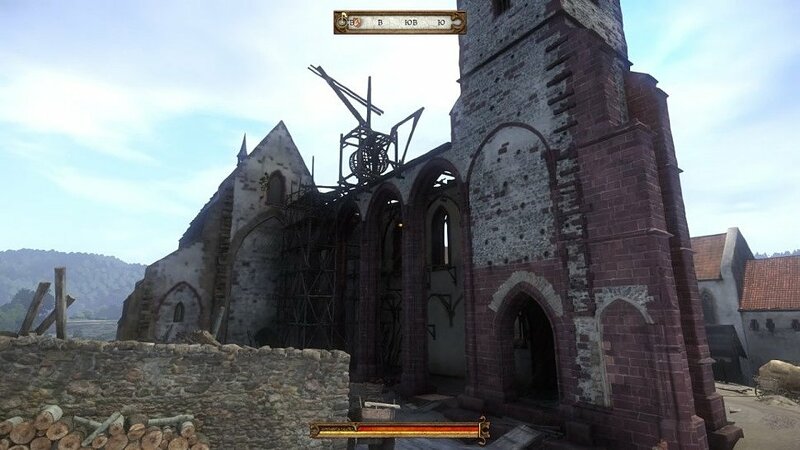 As you walk through the streets of Užice in Kingdom Come: Deliverance, you can find a church under construction. The church is still there in real life. 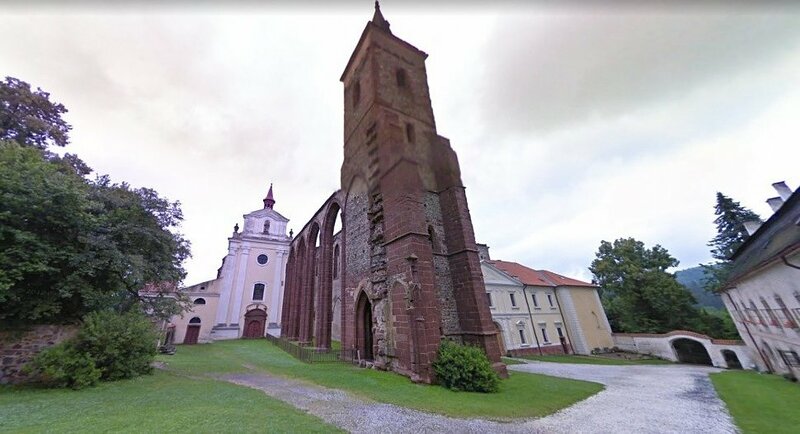 And the main source of developers’ pride is Sázava Monastery. Deliverance is your only chance to see the construction of this architectural monument. 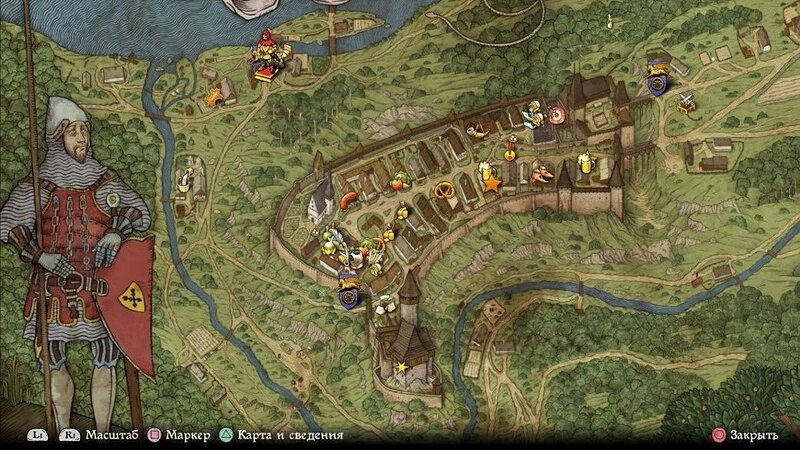 Besides, there are few quests in the game connected to the Monastery. Unfortunately, Stříbrná Skalice – the home village of Henry – hasn’t survived to the day. 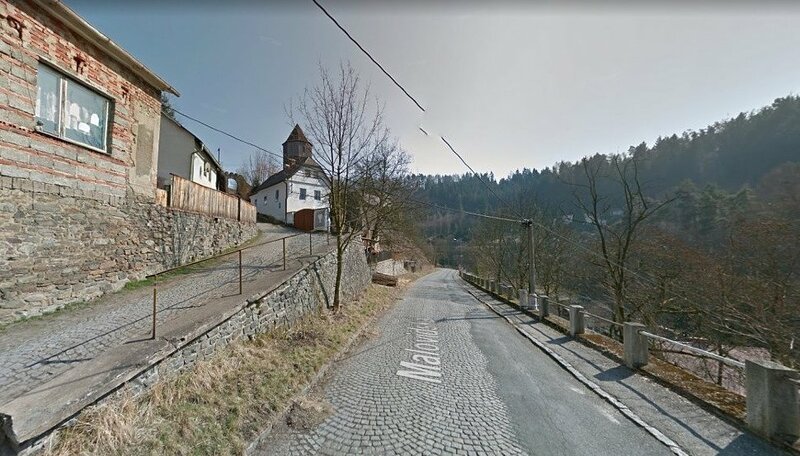 The village was burnt down by Sigismund in 1403, and the local fortress was destroyed over the centuries.